It's official, Apple wants to talk iPhone with all of us on October 4th. Apple has sent out invites today, and will be holding a press event at their own turf on Tuesday to reveal the next generation iPhone. We're one step closer to confirm and bust all of this year's iPhone rumors. 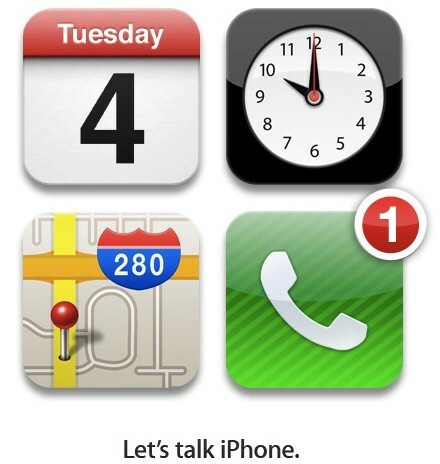 Until then, let's hope for an all-new and exciting iPhone 5.